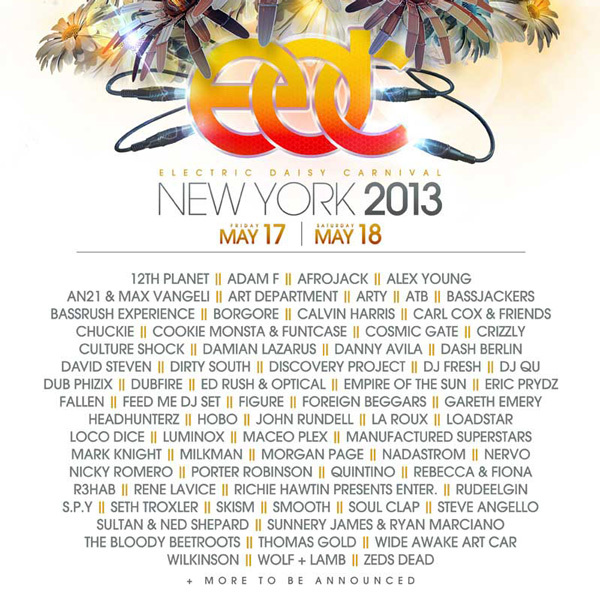 You are here: Home / News / EDM News / Everything You Need To Know About EDC New York! Everything You Need To Know About EDC New York! Well Ladies & Gentlemen, it’s officially summertime. The birds are out, the beer is cold, and the thought of school and finals are all behind us. Nothing screams summertime more than one word: festivals and what better festival to kick off the summertime madness then none other then the world famous Electric Daisy Carnival! In just a few short days, this glorious festival filled with the best music in the scene will finally be here. Now if you’re going you might be wondering who you’re going to see this year. Well my friends you’re in luck! I have for you the schedule of every artist. Start planning! 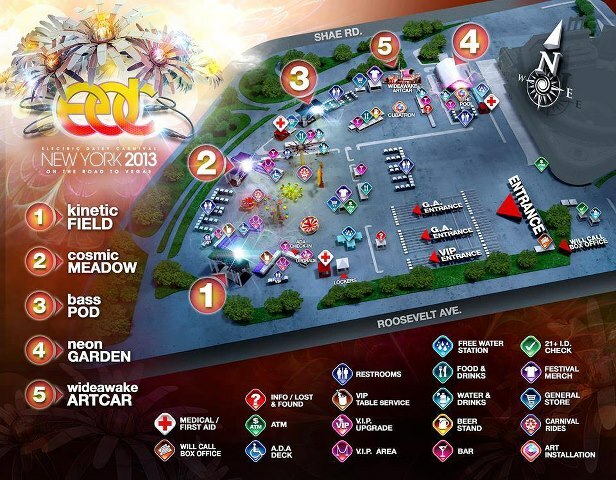 If you don’t know where these stages are at since you might be an EDC NY Virgin, fear not! A map of each location of the stages has been made. Food stands, free water stations, restrooms, and the most important feature of all, the bars, are all located on this map also! Check it out! Now if you don’t have tickets, I suggest you get them and fast! Saturday is already sold out and the other two day’s are selling out quickly! You can purchase your tickets now on EDC WEBSITE . For those of you going, however, I will leave you with a trailer of the incredible events you are about to witness. Cheers!